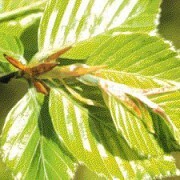 The common beech a large native, majestic tree, very wind firm. 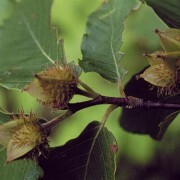 Worthy of inclusion in most planting schemes, its seed, beech mast, attracts pheasants, pigeons and squirrels. Makes an excellent if slow growing hedge, keeping its autumn bronze-coloured leaves. 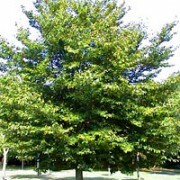 Fagus Sylvatica (Beech)- One of the UK’s most majestic native trees. 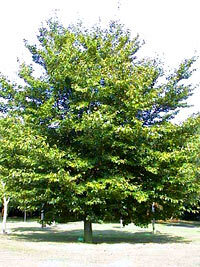 Growing up to 25meters in height, the common beech is a large and proud tree. Its distinctive smooth and thin silvery-grey bark, which is pattered with fine horizontal etchings, supports a large, dense rounded dome crown. 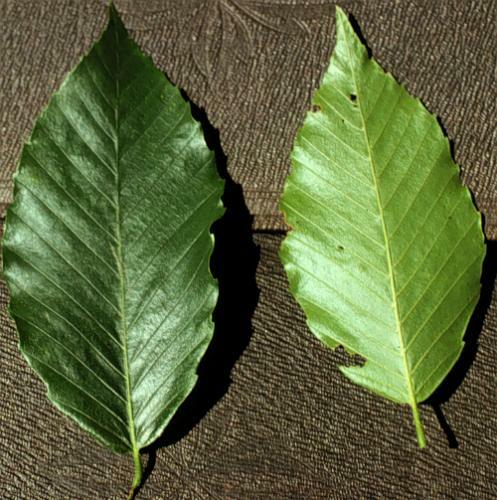 The heavily branched crown bares dark green oval shaped leaves, each with a pointed tip and crimped edges. 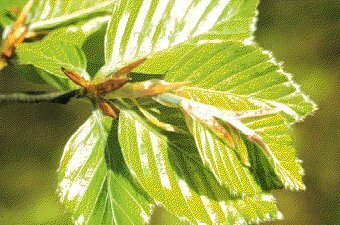 The leaves turn a crisp copper colour in the autumn and do not drop, meaning that the beech tree provides year round colour, as well as a permanent screen. 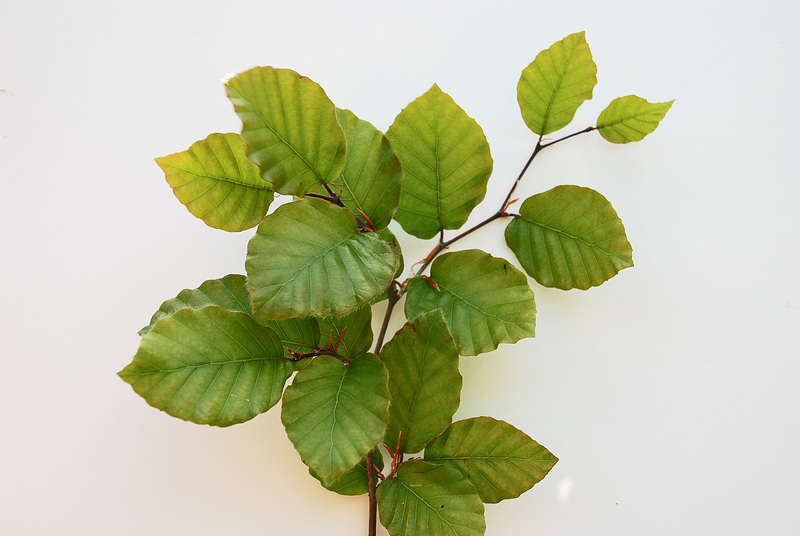 Beech is a shade tolerant tree and beech woodlands are characterised by their shady and dark nature, which often prevents much else from growing under a beech tree canopy. A highly desirable hedging plant which also makes a lovely standalone specimen tree. 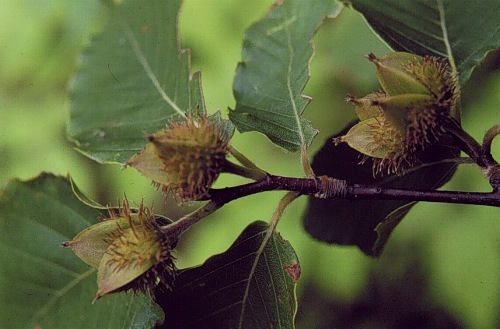 Beech is also worthy of inclusion in most woodland planting schemes, with its seed and mast attracting birds and squirrels. 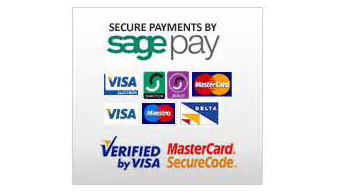 Timber: The timber is strong and hard with a fine grain, favoured for furniture making. The wood from a beech tree burns well, making good firewood. 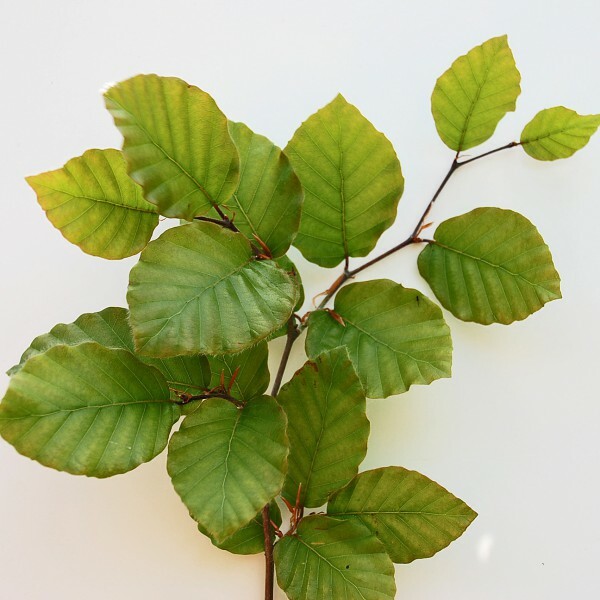 Soil Type/Habitat: Beech grows best on well drained, dry soils. Heavy clay soils must be avoided. Will grow well in most conditions. Shade tolerant but with a slow growth rate.